Other names: Castana, Kamansi, mei kakano. 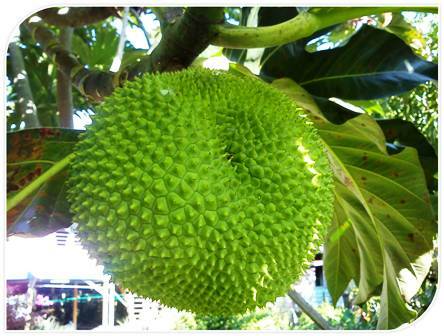 Breadnut is considered to be the wild ancestor of breadfruit, Artocarpus altilis. 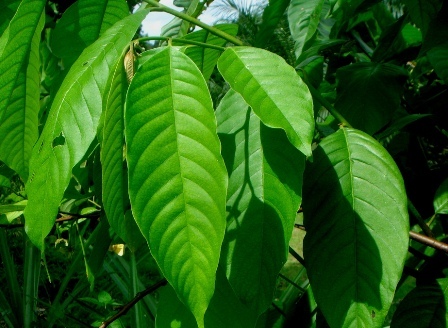 It is mainly native to New Guinea and possibly the Moluccas and the Philippines. Currently besides its native range, the breadnut is also grown outside of in the Caribbean, South and Central America, and West Africa. The trees grow to be 10-15 m high, with a trunk 1 m in diameter. 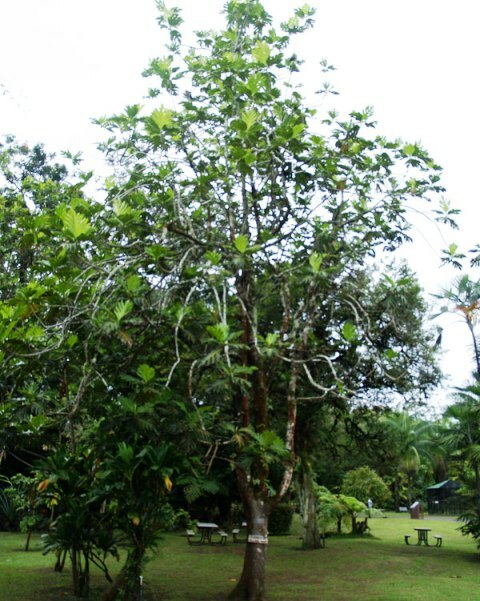 When compared to Breadfruit (Artocarpus altilis) and Dugdug (Artocarpus mariannensis), breadnut has more open branching structure. 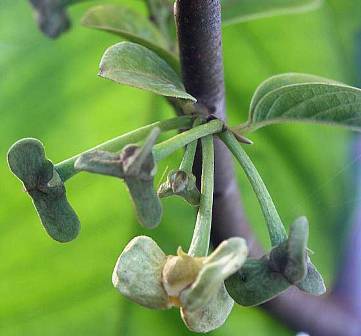 The same tree has both male and female flowers and the male inflorescence appears first. Unlike the Breadfruit, the individual flowers do not fuse together along their lengths. 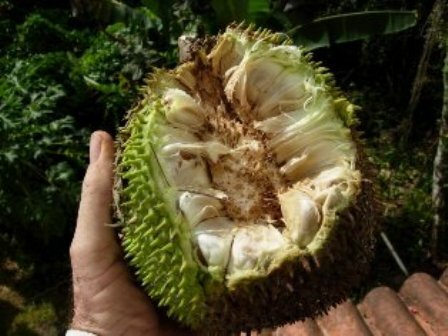 The fruits are 7-12 cm in diameter and weigh 800 g. The skin of the fruit is dull green to green-yellow when ripe and a spiny texture from the pointed, flexible, long tips of the individual flowers. The seeds vary in size, number and nutritional composition. Fruits are oblong and spiny. The fruits reported to be nutritious and are usually consumed when immature. These are thinly sliced and boiled as a vegetable in soups or stews. Breadnut has nutritious seeds that are a good source of protein and low in fat compared to nuts such as almonds, Brazil nuts and macadamia nuts. 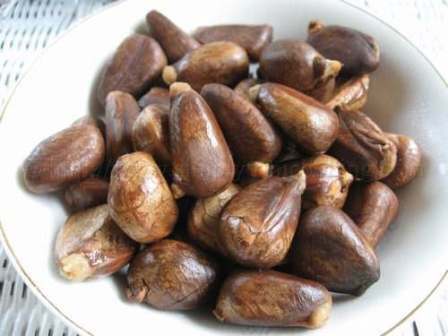 The seeds are a valued food and are widely collected. Today gathered seeds are sold in village markets, providing an important source of income for women in some areas. Breadnut trees provide shade, mulch, soil stabilization, animal fodder and are commonly used in mixed agroforestry systems and home gardens. Breadnut is a natural component of the forests of Papua New Guinea and is an important part of the subsistence economy of lowland areas.